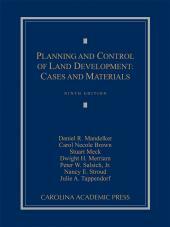 For decades, Daniel Mandelkers Land Use Law has served as a valuable, authoritative resource for lawyers, judges, planners, and students. 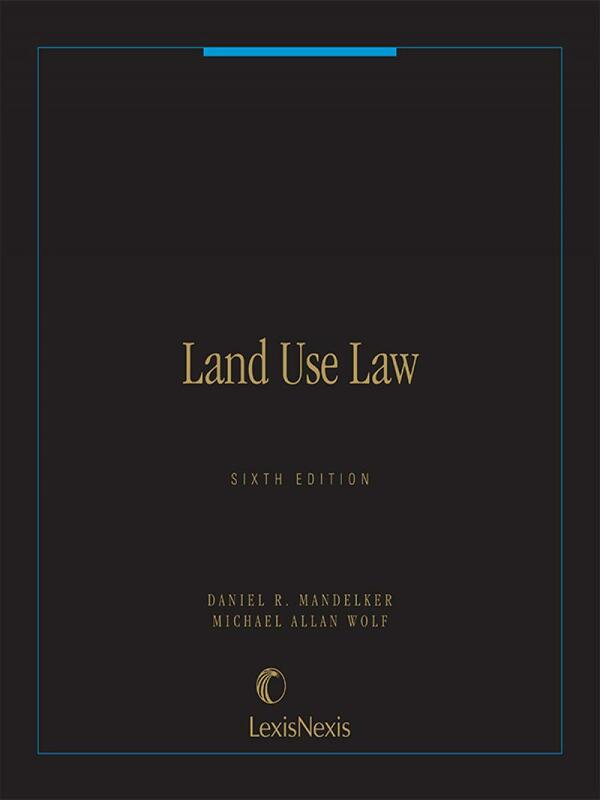 This New 6th Edition expands the Land Use Law legacy by adding the authoritative analysis of Michael Allan Wolf, known to many readers as the GENERAL EDITOR of POWELL ON REAL PROPERTY. This concise but comprehensive view of land use law presents legal essentials and incorporates developing judicial and legislative activity. 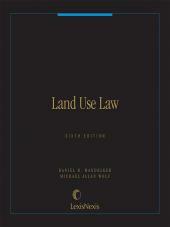 Now in its 6th Edition, Land Use Law is now in a looseleaf format. The looseleaf binder design allows the Sixth Edition to become a living document, both in terms of personal use as well as future supplements. The annual updates will be provided in looseleaf format for easy incorporation into the bindereliminating the need to maintain and refer to separate annual supplements. Professor Daniel R. Mandelker is one of the nations leading scholars and teachers in land use law. 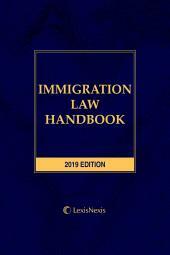 He is the co-author of a widely-used casebook on land use law, now in its eighth edition, and the original author of this comprehensive treatise on land use law, now in its sixth edition. He also focuses on environmental law and state and local government law, co-authoring a casebook on state and local government law, in its seventh edition, and writing a popular treatise on National Environmental Protection Act (NEPA) law and litigation. A member of the College of Fellows of the American Institute of Certified Planners, Professor Mandelker has lectured at national and international conferences and serves on editorial boards. He is the past recipient of the ABA Section on State and Local Governments Daniel J. Curtin Distinguished Lifetime Achievement Award. 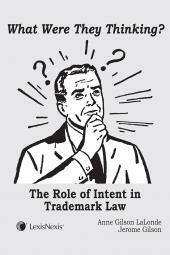 He has been a consultant to local, state, and federal governments and to foreign countries in his areas of expertise. He was the principal consultant and contributor to the American Planning Associations model zoning and planning legislation project, was the principal consultant to a joint ABA committee that prepared a model law on land use procedures that was adopted by the House of Delegates, and was the principal author of comprehensive planning amendments to the New Orleans city charter. Michael Allan Wolf is the Richard E. Nelson Chair in Local Government Law at the Levin College of Law, University of Florida. Professor Wolf teaches and writes in the areas of property, land use planning, environmental, constitutional law; economic redevelopment; American history and American studies; and constitutional history. In addition to serving as General Editor of Powell on Real Property and Powell on Real Property: Michael Allan Wolf Desk Edition, Professor Wolf is the author of The Supreme Court and the Environment: The Reluctant Protector (2012), The Zoning of America: Euclid v. Ambler (2008), co-author (with Charles M. Haar) of Land Use Planning and the Environment: A Casebook (2009), and editor of and contributor to Strategies for Environmental Success in an Uncertain Judicial Climate (2005). He has also written dozens of articles, essays, and book chapters in law, economic development, planning, and historical journals and books; and his commentaries have been featured in national newspapers and on National Public Radio. Professor Wolf has testified several times before Congress; helped draft state legislation; and advised local, state, and federal officials in the area of urban redevelopment.